Good Bye… to mobile calls! Success of Samsung ahead!! Good Bye to phone calls? Skype/ Viber/ Whatsapp & now Blackberry!!! BlackBerry maker Research in Motion (RIM) has announced an early holiday present for legions of fans of its BlackBerry Messenger (BBM)service. The company has announced a version 7 of the BBM app (currently in beta) that supports voice calling over Wi-Fi. Users can continue to text chat with other BBM contacts while they are on a voice call. Voice calling will not work over 3G or cellular networking, likely as a sop to keep mobile operators around the globe happy. The split-screen feature allows customers to talk and text at the same time, so for example, they can send a picture to their contact while talking with them. 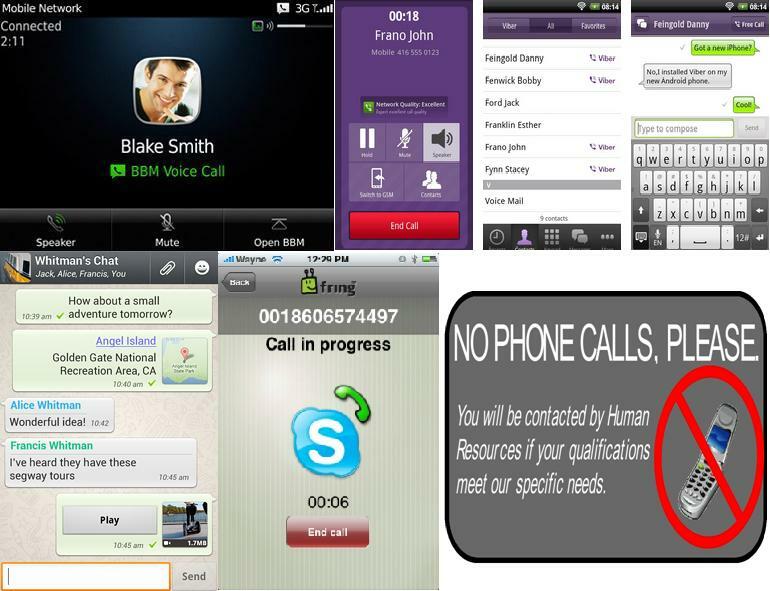 They can also check other BBM text chats, check email, or navigate to other apps while engaged on a BBM voice call. BBM provides a visual indicator that shows when contacts are available for a voice call. This is recent development but what when it comes to Whatsapp? It’s known as an amazing SMS replacement app! Recently dated 23rd Aug. 2012 WhatsApp announced new hits record with 10 billion total messages in one day, in which 4 billion outbound messages sent, and 6 billion messages received. I must call it “SMS/MMS Killer”. Viber, acts as SMS replacement + audio calls. These applications provide delivery, read reports & last seen status of the recipient. With Viber providing audio calls Blackberry introduced voice calls on Wi-Fi for their devices having OS 6 and above by saying that it’s won’t work on 3G? Surely they had taken care of mobiles operators worldwide but even Wi-Fi calls would affect mobile operators because most of us connect BB in Wi-Fi zones. It’s beginning of another competition. With operating system like IOS, Android, Windows, Symbian introducing & improving upon features, mobile operators would be forced to act? In what sense but? Whether they would appeal for cancellation of number portability? Or they would increase processing fee on new connections? Or they would hike changes of 3G/4G data plans? Seems that upcoming time would be more challenging for mobile operators worldwide, not due to competition among themselves but due to technological changes happening globally! But who bought these tremendous technological changes into? Can’t be a mobile operator itself! It can’t be a cell manufacturer also. Yes!! But can be an OS which was named as Android (means- Robot “आदमी के समान”). It was initially developed by Android Inc, whom Google financially backed and later purchased in 2005, it was unveiled in 2007. The first Android-powered phone was sold in October 2008and by the end of 2010 Android had become the world’s leading Smartphone platform, overtaking Symbian (Nokia) which held the record previously. It had a worldwide Smartphone market share of 75% during the third quarter of 2012 with 500 million devices activated and 1.3 million activations per day. Application of the operating system has also moved beyond mobile phones and tablets, currently televisions, notebooks and cameras are some of the types of devices Android is featured in. With Nokia suffered from “Marketing Myopia”, Blackberry, Apple follow Competitor array but could not meet it 100%, instead defining industry, scope & nature of the industry they involved in determining their competitors, They lacked focus on determining their customers & what benefits they expect, what the key success factors are in your industry. Samsung had lost $1.05bn in a patent related issue against Apple but does it cost a big loss to Samsung? Not really. Instead they are on way to improve their market share & are going to introduce their window based version of smart phone, Tab, Smart PC & Laptop. The designs & features are world class, good enough to compete with Apple’s Mac book & BB Tab. This entry was posted in Success, Technology and tagged 360 degree, android, apple, blackberry, blackberry OS, calls, IOS, mobile, nokia, number portability, operating system, research in motion, samsung, screen feature, skype, success, technology, viber, whatsapp, windows. Bookmark the permalink.